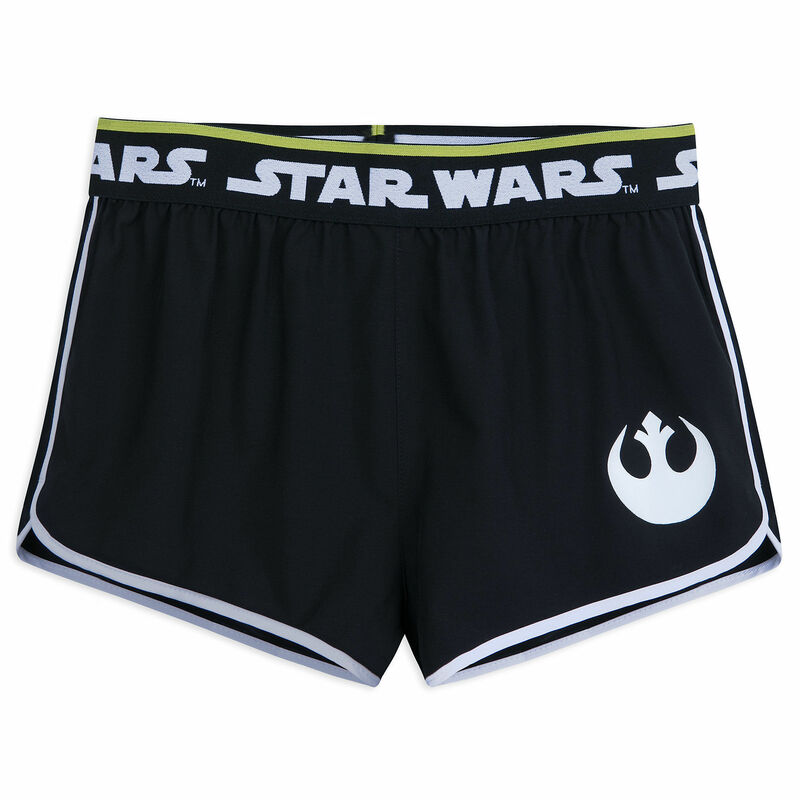 These women’s Star Wars Rebel athletic shorts are now available at Shop Disney. 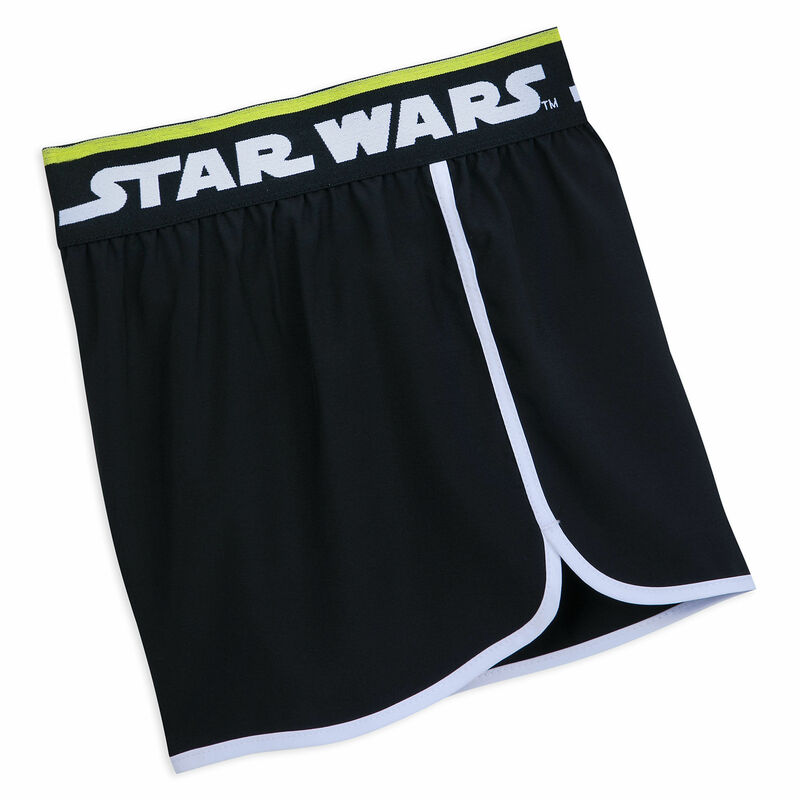 Made from 88% polyester / 12% elastane, the black athletic shorts feature the Rebel Alliance ‘starbird’ symbol on the front left leg, and the Star Wars logo repeating around the elastic waistband. The dolphin-style shorts have contrast white trim around the lower hems and up each side seam. 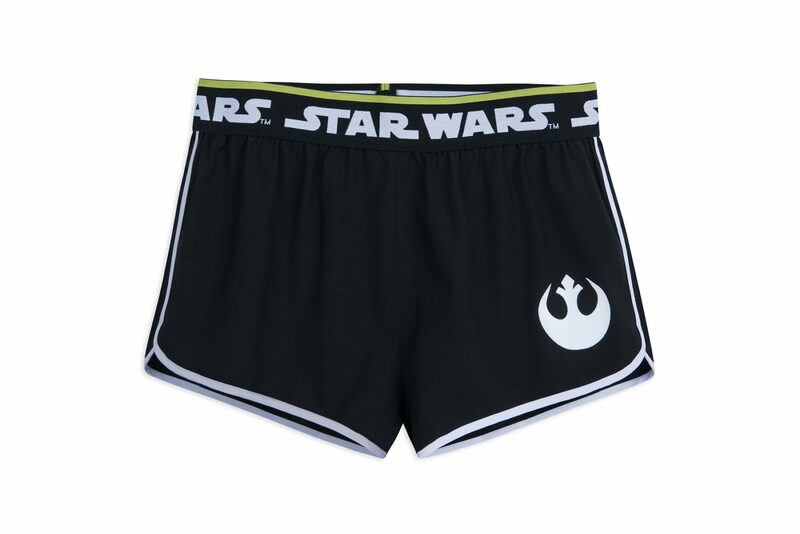 With the Alliance Starbird insignia on these Star Wars running shorts, athletic rebels will be able to fly around the track. The dolphin hem design features contrasting white piping to complement the broad elastic waistband. 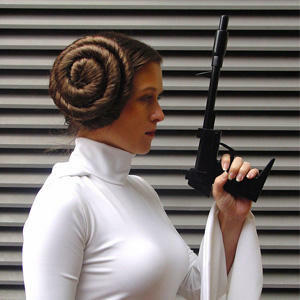 Available in sizes XS to XXL, the shorts are priced at US$34.99 each – Shop Disney can ship internationally.